Currently surrounded by scaffolding. The area, in the foreground, has been landscaped since this shot in November 2008 J3574 : Pottinger's Quay, Belfast (3). 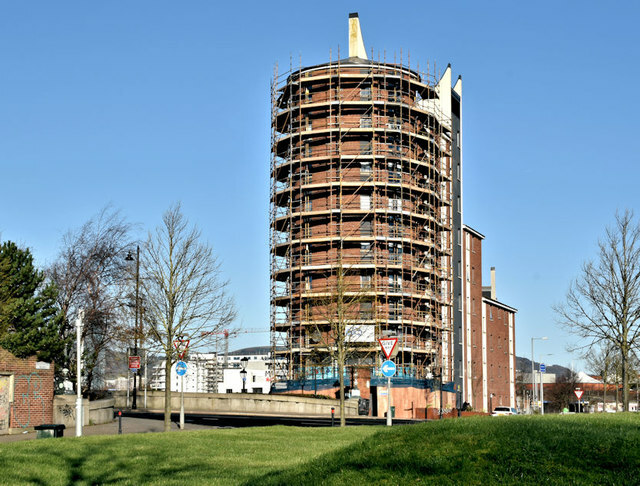 A collection of photographs showing tower blocks and multi-storey flats/apartment blocks in Northern Ireland.